We welcome you and your family to come heal naturally and live a life of wellness. We know that everyone responds to care differently so we’ll combine our techniques and services to help you achieve your goals. Dr. Audren is the first chiropractor officially certified in the Webster technique by the ICPA in Medicine Hat and surrounding area since 2004. Dr. Audren completed extensive training in Animal Chiropractic alongside American Veterinarians at Parker University in Dallas, TX. Dr. Audren is also certified with the American Veterinary Chiropractic Association (AVCA). 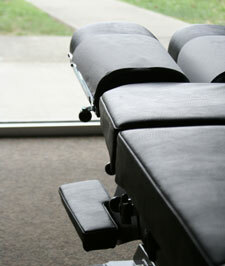 There is only 1 other chiropractor in Alberta with this certification (www.avcadoctors.com). This training has been instrumental to encourage better communication with pet owners and their veterinarians for several conditions in which medical intervention was a priority. With broad experience and a passion for animals, Dr. Audren offers chiropractic care to animals on Thursdays in our Medicine Hat office for cats and dogs, and we offer on-site visits for horses upon appointment. Call our office at (403) 504-9292 to book an appointment for your companion animal today! 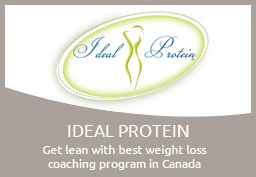 Our Ideal Protein Centre has been rated as one of the best coaching centres in all of Canada. Every dieter in our centre receives a Body Composition Analysis FREE of charge from the 1st consult and with each weigh-in. Each dieter also receives a complimentary one-on-one individualized coaching session each week.